This post has already been read 1659 times! KEARNEY – Work is underway at the University of Nebraska at Kearney’s Fine Arts Building, which will see some changes as part of the Otto C. Olsen replacement project. Construction fence is going up along the south side of the building’s west wing, where two classrooms will be added in the space currently serving as a courtyard. The classroom addition is phase 1 of the work planned for Fine Arts. Phase 2 includes an addition and renovation on the building’s northwest corner. This area will house the glassblowing lab presently located in Otto Olsen, as well as woodworking and metalworking studios. The drawing and painting studios currently occupying this space will shift to the new classrooms on the building’s south side. 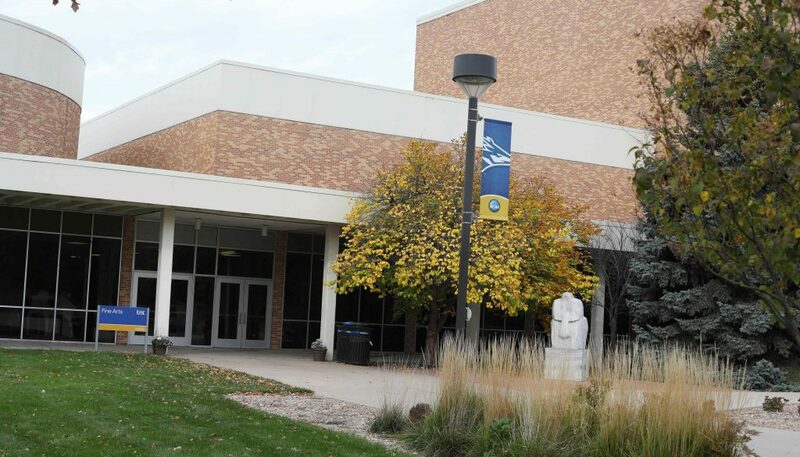 UNK’s Fine Arts Building opened in December 1969 and was built for $1.6 million. The “Art Wing” addition was built in 1978. The work, which adds about 5,500 square feet to the Fine Arts Building, is part of the ongoing replacement of Otto Olsen, a 63-year-old building that has been on the state’s capital construction replacement list for more than 20 years. 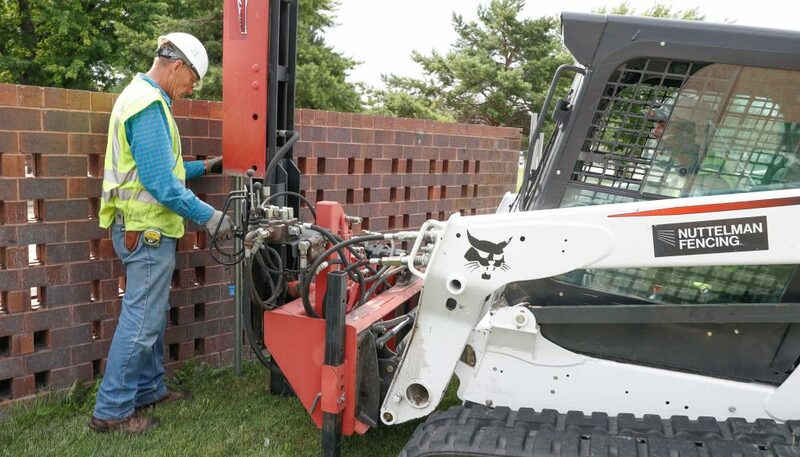 Lincoln-based Hausmann Construction is the general contractor for the project, which also includes construction of the new STEM building between West Center and Ockinga/Welch Hall. The total price tag for the Otto Olsen replacement project is $30 million. That money, approved by the Nebraska Legislature in 2016, comes from renewal bonds and deferred maintenance funding directed to facility replacement projects. Lee McQueen, director of UNK Facilities Management and Planning, expects earthwork to begin this month on the south side of the Fine Arts Building, where a temporary rock road will be constructed to move in large equipment. Demolition and excavation work should start in early August, then crews can pour the foundation for the classroom addition. “They’re anxious to get that done as quickly as possible,” McQueen said. Phase 2 can’t begin until the large construction equipment has done its job on the building’s south side, likely late in the fall semester. That’s when the northwest construction area will be fenced off. “There’s a fair amount of work that has to be done in phase 1,” McQueen said. Both construction fences will remain until the project is complete next summer. McQueen said the goal is to minimize the impact on pedestrian traffic, although some rerouting will be necessary around the building’s northwest corner once that works begins. The building’s west entrance will remain open throughout the project. An effort will also be made to limit the impact on classes, but the “sounds of construction” are difficult to avoid. “That’s a lot of work to get done in a short amount of time and have zero impact,” McQueen said. Most of the programs currently located in Otto Olsen will move to the STEM building that’s expected to open in fall 2019. The UNK Child Development Center that’s part of Otto Olsen will be replaced by the LaVonne Kopecky Plambeck Early Childhood Education Center, a $7.8 million, 19,900-square-foot facility that’s expected to be complete next summer at University Village just south of U.S. Highway 30.